We are so excited that you are considering serving with us! 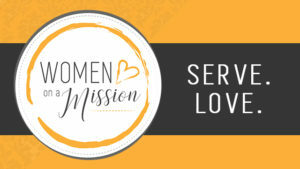 Read the options below for the Women on a Mission serving opportunities and click the button to sign up when you are ready. What: Community Kids - THIS OPTION IS FULL - Please choose another serving option. Details: Community Kids is an after-school program reaching elementary-age children living in and around the Viking City Mobile Home Park. Volunteers will serve a healthy snack, play games and spend time with the kids that attend. Details: Join other LCC family members from the Antioch and Mexicore ministries for an hour of worship, prayer, encouraging messages and making new friends with the clients at New Visions. Residents are struggling with substance abuse or mental illness. New Visions helps them with a new start. This is a time to put your faith into action, sharing the love of Jesus through prayer, encouragement and possibly even telling your own spiritual story of hope. Details: This evening is designed for anyone who wants to make practical changes to share a great meal at 5:30, then participate in life skill classes. Your service would be helping to prepare the meal and/or prayer for the participants and the evening - both are powerful tools God uses to build relationships and transform lives. You have choices: 3:00 pm – 5:00 pm meal preparation, or 5:00 pm – 7:00 pm clean up, or 4:00 pm – 5:00 pm prayer. Choose any or all of these opportunities. Details: Marie has been a long time member of LCC and shattered her leg prior to Christmas. She’s been unable to live in her home during her rehab and is in the process of selling. Her windows need cleaning to assist in the sale. All cleaning supplies will be provided. Details: Monthly food distribution event. Attendees register, then go through a line where they are able to receive an assortment of food, free of charge. Anyone in Douglas County can attend. You can help with unloading food, handing out food, or helping attendees with their cart and carry out the food they received. Details: Titus 2 is a Christ-centered home to help women in need. For this project you will be dusting, window washing or general spring cleaning. All Norwex cleaning supplies will be provided. Hang out with ministry leaders and any ladies who may be staying at the house – enjoy encouragement, prayer and a nice cup of coffee while making new friends. Details: Help kids in the after-school program create a fun mother's day project. Meet on location at area schools at 2:00 pm - Project and instruction will be given on site. Volunteers will be contacted by Leigha for further instruction. Details: Enjoy a meal and fellowship with residents living in our community. Bring a dessert to share with 40-50 people: Cookies or bars. Where: 6th Avenue Community Center - 1615 6th Ave. E, Alexandria - Volunteers will meet at LCC at 5:45 pm to carpool to the Community Center. Details: Join us in mingling with residents and do their nails! Enjoy a time of coffee, treats, and prayers for each other as well. Come pamper the mind, body, and soul with us! All supplies will be provided. Where: Bethany on the Lake, 1020 Lark St, Alexandria - Please use the front entrance by the circle drive (east). All other doors are locked on weekends.